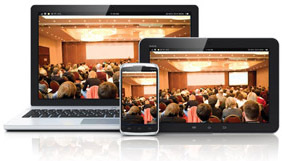 Get the Full Conference DVD-ROM including all sessions slides with synchronized audio, or get the Full Conference Online Streaming and enjoy on-demand streaming access to all conference sessions. Watch the conference sessions slides and synchronized video of presenters, captured LIVE during the AALTCI 2014 Long Term Care Solutions SALES SUMMIT. Most sessions will feature video of the presenter and their presentation. Others features slides with synchronized live audio.